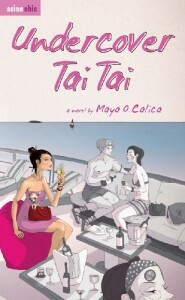 Undercover Tai Tai is my first Maya O. Calica book, and I bought a copy as a thank you to her for giving us a pep talk for National Novel Writing Month. I have been wanting to read another one of the Asian chick lit novels republished by Anvil in the Philippines after I read Amazing Grace, so I thought it was just timely to get this, too. Amanda Tay is a small, quiet girl who hates her job and her roommates, does capioera and dreams of something exciting to happen in her life. Her prayers get answered when she accidentally knocks CID Agent Brian out, and soon she finds herself as a new undercover agent mingling with Singapore’s rich and famous socialites to find out what really happened to tai tai Jasmine Kwong. The thing with Summit chick lit books is they seem to be too thin for a Php 150 priced novel. That’s why I hesitate buying them because I feel like they’re a bit too expensive for such a quick (albeit enjoyable) read. So when I spotted Anvil Publishing’s reprinting of Asian chic lit by Filipina authors from Singapore in National Bookstore, I was curious! Here are some thicker chick lit books at the same price. The next question is: are they any good? 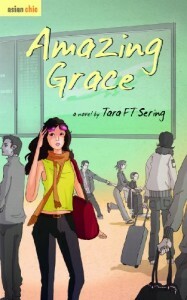 I finished reading Tara FT Sering’s Amazing Grace this week, and I can answer 1/3 of that question (since there are three Asian chic novels out as of now): it’s very good. Amazing Grace is the story of Grace Chua, a 26-year-old Filipina-Chinese single woman who has been egged on by her friends and family to find a man and settle down before her biological clock stops ticking. Grace realizes that, and she allows herself to be set up for blind dates. However, none of the guys were deemed worthy, until guy #7, her Valentine’s Day date, Mike. She and Mike clicked, and after two years, he proposes to her. It would have been perfect if Mike hadn’t gave her the next bit of news: he got a job in Singapore and will have to move there for two years for his contract. Grace was determined to make the long distance relationship work — after all, they were engaged, and there’s no way she’s letting go of that! — but things become complicated when Mike seems to have less and less time for her (acting like she has some kind of contagious eczema or something), and he always seemed to mention a woman named Kaela in their conversations. Grace goes to Singapore on a weekend to surprise him, and finds herself in a race around three countries, all in an effort to get her man back. Amazing Grace was unlike all chick lit I have read so far, and it was mainly because of the second person POV used in the story. Second person makes use of the pronoun “you”, making it seem like the reader is also the main character in the story. I’ve managed to write one second person POV story, and I am not even sure if I did it right. From NaNoWriMo research, I’ve learned that its best to avoid writing in second person POV because it almost never works properly. For this novel, however, I think it really works. The POV effectively puts the reader in Grace’s place, but still maintaining enough character to distinguish Grace from the reader. Again, you wonder: How did you get here? I don’t know how often I’ll be able to do this, but I thought I’d try whenever I do have a stash to blog about. In My Mailbox is a weekly book meme hosted by Kristi from The Story Siren, where bloggers post about what books received that week, be it via mailbox, library or store. I’ve already finished reading this book and I thought it was positively charming, and it has a lot — and I mean a lot — of quotable quotes. I’ll be posting a review of this book soon. With a marriage proposal in hand, Grace thinks that she s set for life. Trouble begins to stir in paradise when Mike informs Grace that he is re-locating from Manila to sunny Singapore because of work. But the conveniences of modern technology aren t enough to bridge the distance between Mike and Grace, and what of Mike s colleague Kaela who appears in every photo that Mike s uploaded online? 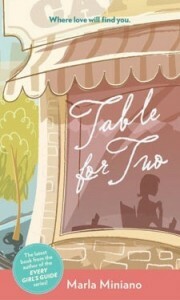 This is one of the new Asian chick lit published here by Anvil. I’ve seen this about a month ago but only got around today to buying myself a copy. A friend said it’s a good read, and I like that it’s thicker than the other local chick lit which makes the Php 150 (around $3-4) feel more worth it. The story is told in second person, though, and I’m really curious about how that works out. I saw this last week and I didn’t mean to buy it today (I meant to buy Ever by Gail Carson Levine), but I realized I should get this one because this would be a more relevant book to review since it’s just out. Egypt and such adventures — should be fun. 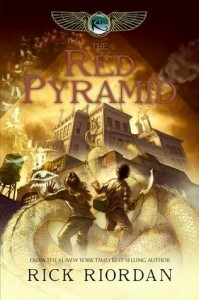 Funny because I haven’t even finished reading all Percy Jackson books yet, and here’s another Riordan. Funny, though, I’m trying to remember if I read any of his books before Percy, and I remembered: 39 Clues #1. Don’t forget, Philippine residents, I’m giving away a copy of Feed by Mira Grant — you can enter until June 30! Have a great Sunday, everyone!